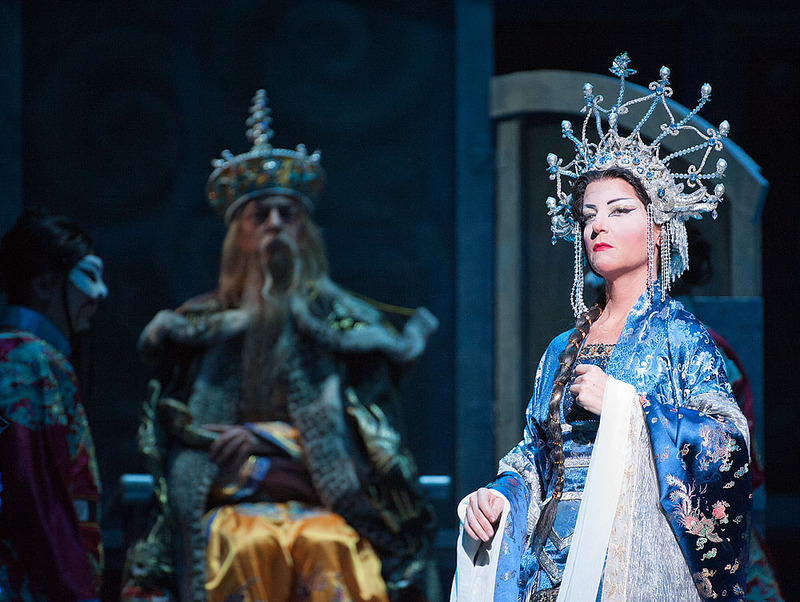 I've posted the photos from the Austin Lyric Opera production of Turandot at the Gallery. 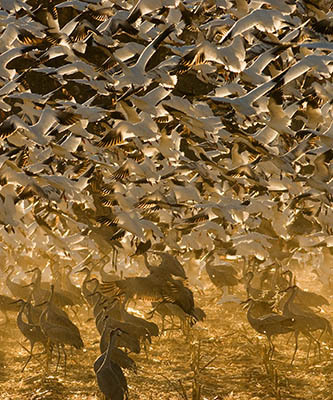 Ongoing exhibit: Sense of Place | Landscape Photography, at the FLASH Gallery in Lakewood, Colorado. 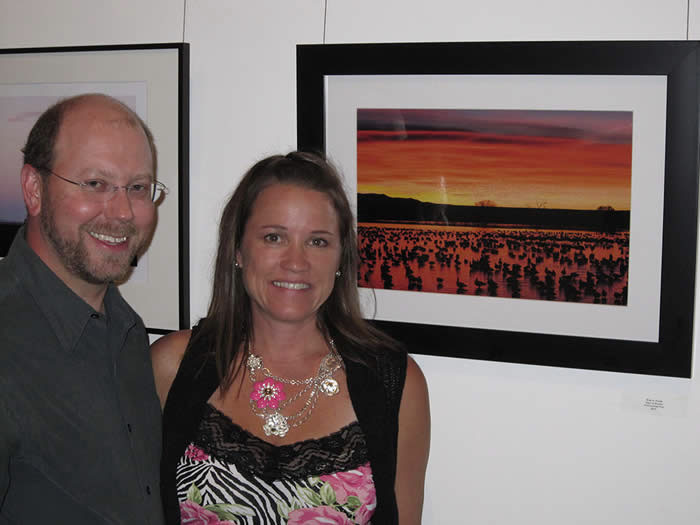 One of my Bosque del Apache photographs is in the show, which runs June 11 through August 1, 2010. I had about twenty friends from the Denver area who made it to the opening reception. Thanks to all of you who made it out on a rainy night. Here I am at the gallery with one of my best friends, Nancy. 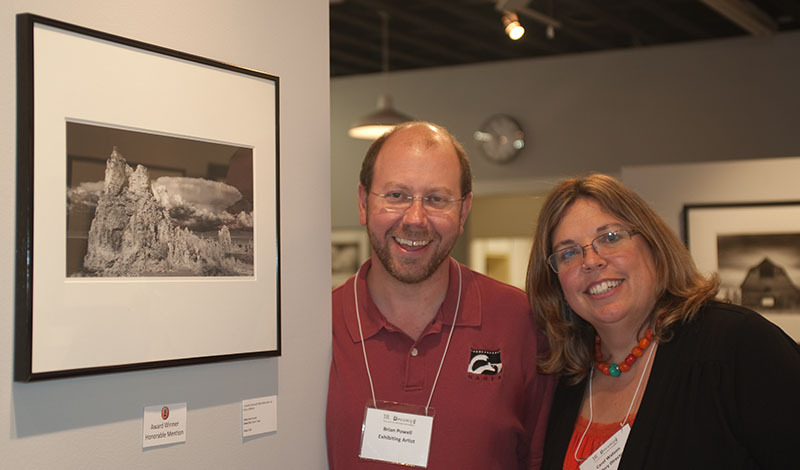 I had three photos in the IR Dreaming exhibit at Watson Studio Gallery in Johnson City. 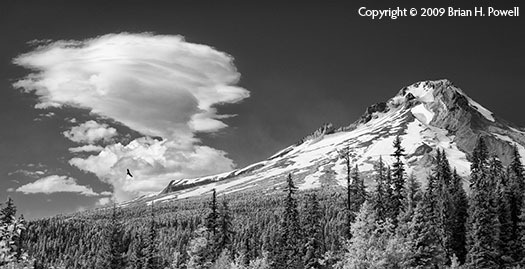 The exhibit featured 53 infrared images from 34 different artists. It ran September 26th through October 24th, 2009. Here I am with Carol Watson, Gallery Director. I updated my photography blog during my recent trip to parts of the Pacific Northwest. Prints available for sale through my gallery pages. Here is one of my favorite photos of 2008. 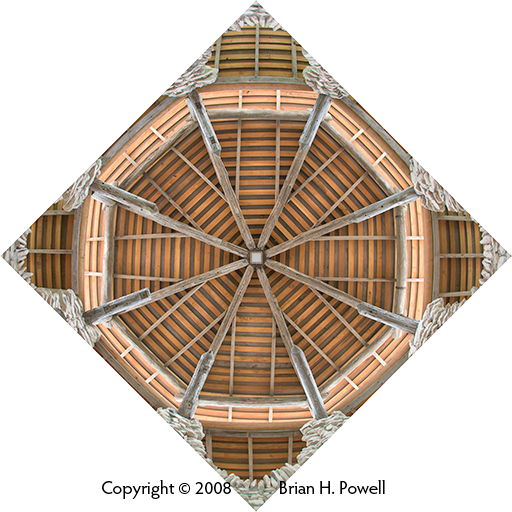 It's the ceiling of the Pagoda at the Japanese Tea Garden in San Antonio, Texas, March 9, 2008, the day after the gardens reopened after a year-long renovation. 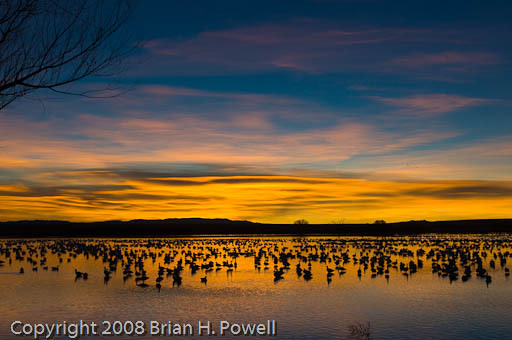 I made a quick, successful trip to Bosque del Apache right after Thanksgiving, 2008. I've updated my Bosque Gallery with the new images. I went with Capt. 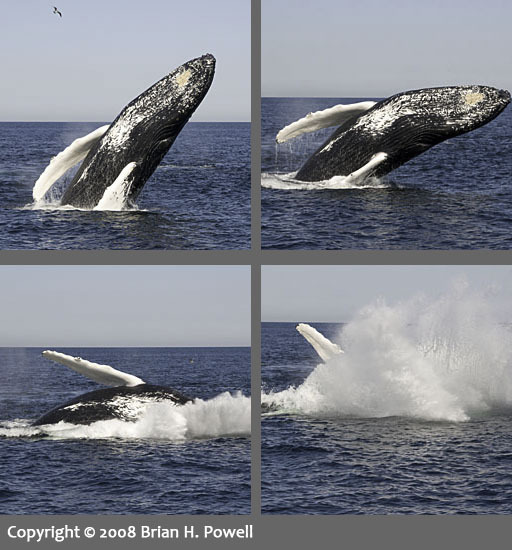 Bill & Sons Whale Watch, out of Gloucester, Massachusetts. The Infrared Gallery is now online. I'm using a Nikon D200 converted to infrared by Life Pixel. 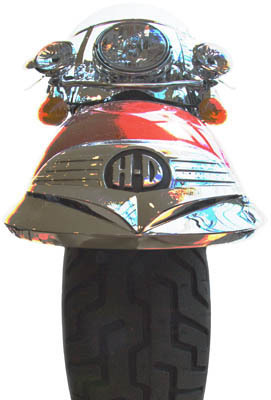 They can take an existing digital camera and convert it to infrared for you. If you use them, please tell them I referred you. 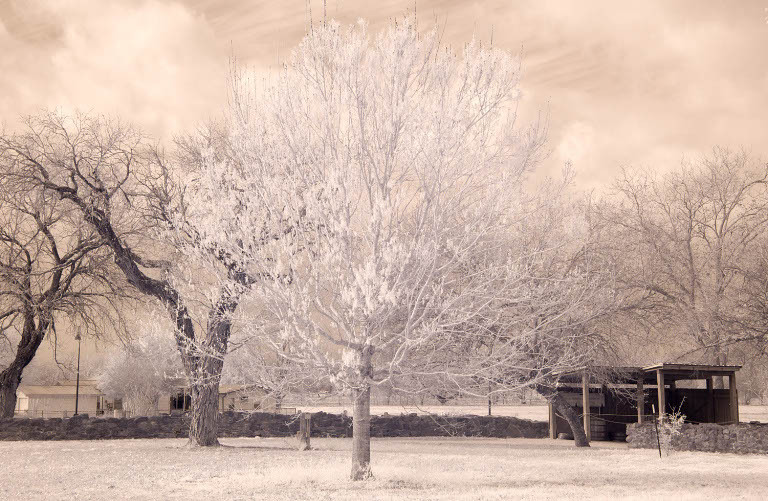 This infrared image is from San Antonio Missions National Historic Park. I donated a framed 12"x15" print of the photograph below to the Artists for Austin Charity Art Auction. The event was Wednesday, October 24, at Canvas Gallery and Bar, 105 E. 5th Street in Austin. Not my usual wildlife/nature theme, but I created this print for the Artists for Austin booth at an event for Cowboy Harley-Davidson. Copyright © 2018 Brian H. Powell. All Rights Reserved. Images may not be used without permission.